Home >> Generated from JAN's SOAR Information System on 4/26/2019 4:06:21 AM. 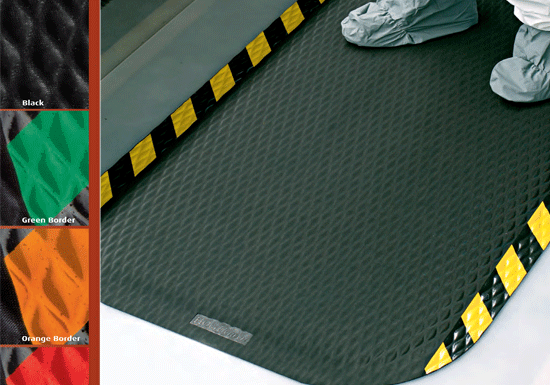 Hog Heaven Anti-Fatigue Mats are constructed with a 100% commercial-grade Nitrile Rubber surface for superior comfort and resistance to oils and chemicals to prevent slipping. Closed-cell Nitrile/PVC cushion backing provides outstanding comfort and is permanently molded to the Nitrile rubber top. Rubber guaranteed not to crack or curl. The Hog Heaven Anti-Fatigue Mat is one of our best selling Anti-Fatigue Mats!